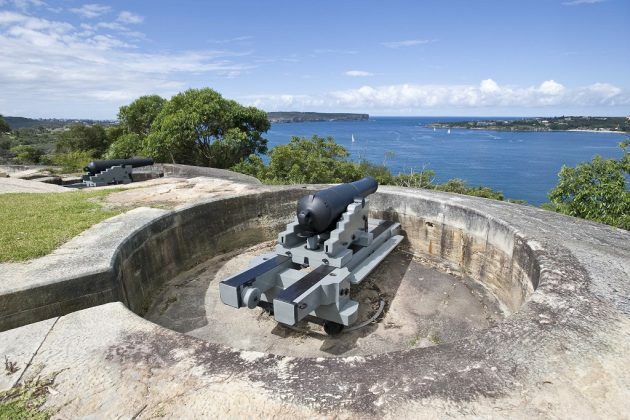 Explore two sets of historic fortifications dating back to the 1870s and learn about the role this commanding harbour location played in the defence of Sydney during WWII. The tour includes a walk through beautiful bushland with magnificent harbour views. The tour includes bush tracks, stairs and underground fortifications and is suitable for those with a good level of fitness and mobility. Please provide your own torch for the tunnels (phone torch is adequate). Enclosed walking shoes are required. Cost: adults $8, concession $5, family $20. Bookings essential: 8969 2100. Location provided upon booking. Headland Park Tunnels and Gunners Tour is presented by the Sydney Harbour Federation Trust.